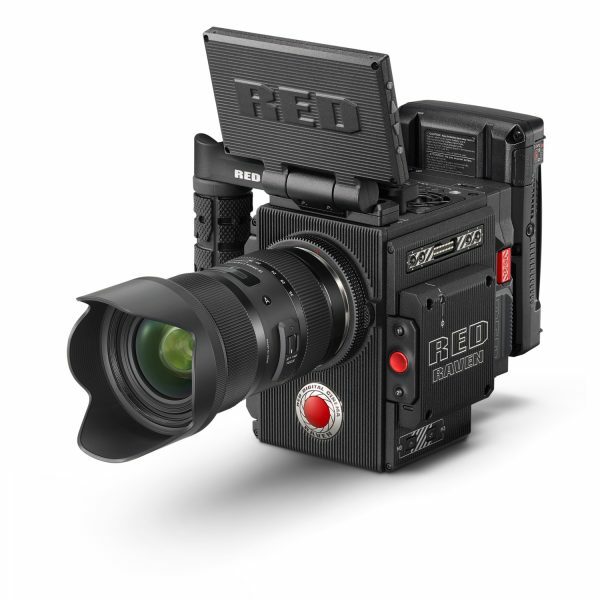 RED Raven + FCP X = $15K Phoenix camera? The RED Raven was, until recently, unavailable from RED’s website. The combination of the camera’s price and popularity was described as – I’ll paraphrase – “really not a good situation by any stretch of the imagination” by Jarred Land in a post for the RED User forums. The company suspended new orders for their entry-level camera and it was unclear what, if anything, would happen next. RED body, Sigma lens, IDX batteries: Apple has pulled together kit from several well-regarded manufacturers. 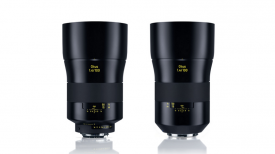 That lack of clarity seems to be over now though, thanks to a new deal with Apple that will see the Raven sold as a kit together with media, lens, screen and even editing software. But only through Apple.com or in select Apple stores. So you’ll be able to use the camera out of the box, and even put in back into the box it came in as it’s a custom-foam lined hard case. The kits also seem to be delivered from stock: putting in a New York Zip Code to the online Apple Store results in two-day shipping with the option of next day for an extra fee. 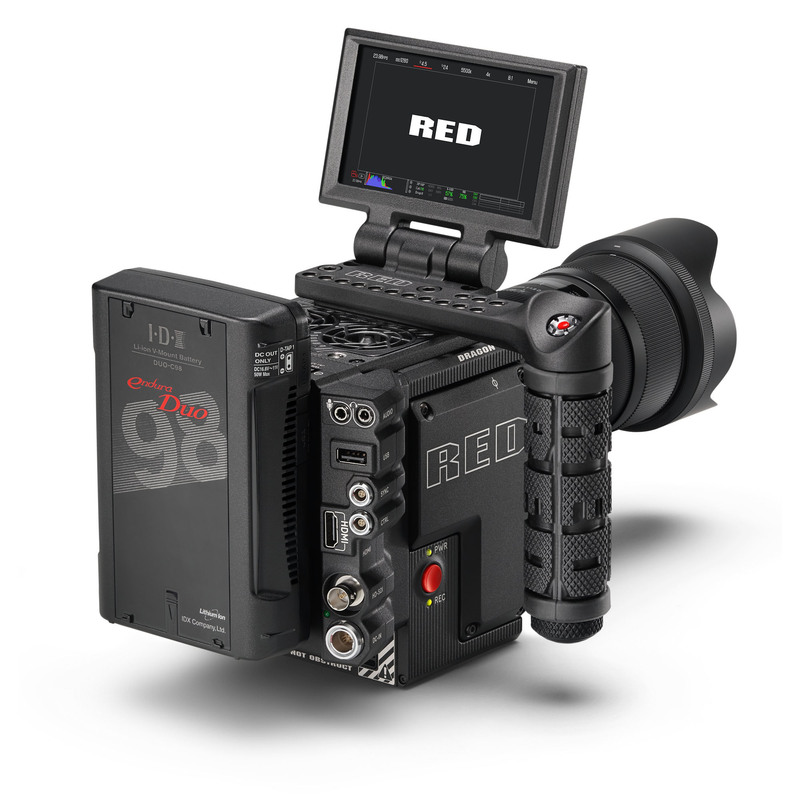 The kit seems like a solid way into the RED ecosystem, and in combination with RED’s own plugin FCP X will read and modify the files that the Raven generates. List price is $14,995.95 US which is a lot of money but not a LOT of money in RED world. Hey, their recently announced phone-slash-holographic player-slash camera monitor lists for $1,595 in Titanium and that’s not even a real product yet. I/O plate, batteries and media are included in the kit. Still no XLRs for audio though. You’ll have to add to the kit to make it a practical tool for everyday production, but then again that’s true of all cameras. Although I do wonder if there will be a few new Raven owners wincing at the cost of RED mini-mags! 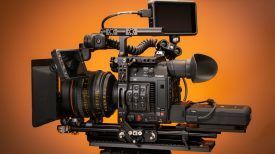 The camera itself shoots 120fps at 4.5K and 4K resolutions and 240fps at 2K, recording internally to Redcode RAW and ProRes. It’s perhaps not the most practical camera for lone doc shooters (no XLR audio inputs), but a package like this one is perhaps easier to justify for an owner-operator. Although now it’s a commodity item at your local Apple store it’s debatable as to how much you’ll be able to rent your new Raven out for when you’re not using it. For more information there’s a fairly brief press release over on the RED site here. There’s also a rather cryptic Facebook post by Land in which he says ‘Sometimes you need to Give to Get.’ Give $15K US and Get a camera package? 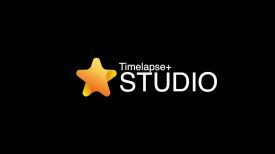 Give FCP X a try and Get a pleasant surprise? Chances are we will never know. There’s also some more background from YouTuber Marques Brownlee, himself a RED user, in the video below. 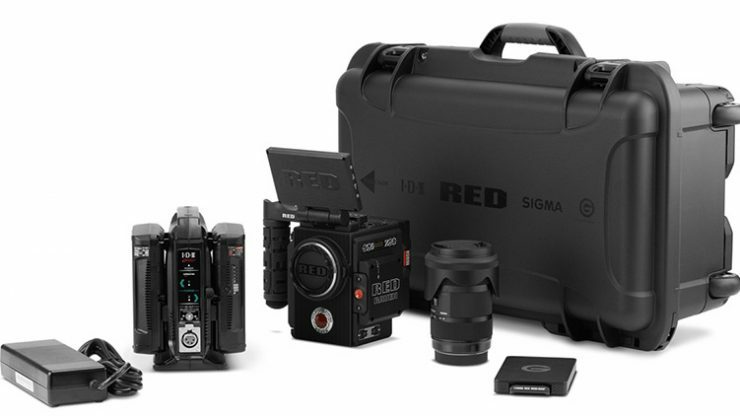 The Red Raven kit is available now from Apple for $14,995.95 US. No, that’s not an affiliate link.